Thank you to all families, students and dedicated staff for what has been a wonderful year in Junior School. As we look back on 2018, we have so much to be grateful for in our community. 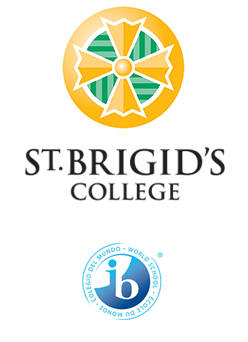 Parent support has been overwhelming and extremely valuable this year as we continued to plan and provide stimulating units of inquiry, competitive carnivals, excursions and much more. Without this partnership, teachers would not be able to run the much-needed activities in the school. Thank you for your generosity of spirit. Once again, our teaching staff and education assistants have provided a nurturing environment where each of our students can flourish as individuals. Thank you to all staff for the countless hours of preparation and for the care provided each day to the students. Thank you also for the fantastic opportunities and experiences provided again this year for the children. We are lucky to have you all. As happens from time to time, staff members leave us. Sadly, we farewell Miss Nat who has been part of St Brigid’s for the last 4 years after completing her final teaching practicum with us. Miss Nat has always been known as a fair, caring teacher, well respected and loved. Miss Nat embraced whole heartedly pedagogy and philosophy around Child Development and improved the way we looked at our Early Learning programmes. Miss Nat’s classroom was always awe-inspiring and totally engaging for all ages, not just the little ones. Her true passion for the development of the whole child has been so evident in all that she does. We wish Miss Nat all the very best as she moves to her new school in Tasmania in 2019. We also formally farewell Mrs Catherine Mills Brunt, who with her growing family, has moved into another phase of her life. We thank Catherine for her huge enthusiasm and motivation not only in teaching and learning over 10 years at SBC, but also in staff wellbeing and social gatherings. We will fondly remember the staff Flash Mob forever! We wish her all the very best for her future. 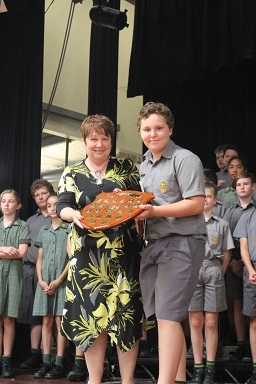 As the year comes to a close, we farewell our Principal, Dr Amelia Toffoli after 15 years at the College. Amelia has always loved visiting the little ones in the Junior School and her love of Early Learning oozes out of her. She has always challenged us to work harder, search for best practice, be internationally minded and expect the best from all our students. We are certainly going to miss her stealing the beans from the veggie garden and sneaking into classrooms to stir up and poke the students with prickly questions. We know that she will continue to visit us and be busy with her own new adventures in the future. We thank her for all that she has done. Our Year 6 students have been a fantastic group of students this year. They have embraced all the challenges that the Primary Years Programme has delivered and we commend them all on their hard work. They are a genuinely, happy, kind, group of young people who are respectful of others and themselves. They are not perfect, we don’t expect that, but they are growing more and more independent, capable and unique and we thank them for their great spirit and positive attitude each day at school. I would like to say thank you to the Year 6 Student Leaders. They have been outstanding and are all to be commended for their enthusiasm and motivation at all our carnivals throughout the year. Well done to them all. I know that the Sports Department has been very proud of their efforts. 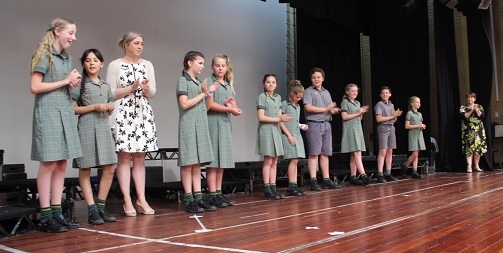 Thank you also to our four Junior School Leaders, Tex, Clay, Remy and Megan for their leadership and excellent organisation every week at morning assembly. Megan made sure that we had prayers at the ready and Remy inspired us with her motivations before our carnivals and as an excellent role model. Tex and Clay led the ‘Happy Birthday’ every week in a wide variety of ways over the year and proudly represented us at a number of events, a particular standout was having lunch with Matthew Hughes MLA! Thank you all for your excellent leadership this year. As the year ends, it’s very timely to thank our Parish Priest, Father Michael Separovich. 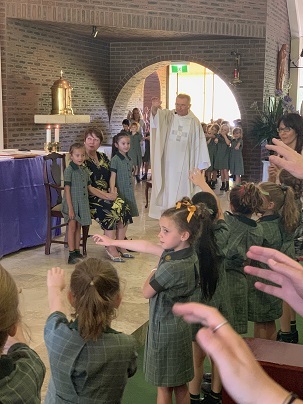 He has supported many families here in the preparation of their Sacraments and he has shared Masses and liturgies with all the children in the school. He always travels out to our annual Year 6 camp too, to share a very special Liturgy with Year 6 students. Thank you Father Michael. Special mention must be made of my Team Leaders, Michelle Verjans, Sharryn Cunningham and Gisella Masella. These ladies are a great support to me and to all other staff members. They work tirelessly to ensure the smooth running in the Junior School, both in a pastoral and curriculum context. In Terms 1 and 2, I will be fulfilling a Principal Secondment in an Aboriginal Community Kundat Djaru, in Ringer Soak. If you are out that way, please pop in and say hi! In my absence the very capable Katrina Fiolo will be Head of Junior School. Student placement for 2019 will be mailed out in the New Year and students begin school on Tuesday 5th February 2019. However as has been customary in Junior School we will open classrooms on Monday 4th February from 2:30 – 3:30pm so that students can visit their classrooms and meet their teachers. Please feel free to drop your books off to school but please take your empty boxes and bags back home with you, as you can imagine it creates a lot of extra cleaning up for our Maintenance Team. I would like to wish each and every family a very happy and holy Christmas season. Enjoy the arrival of the New Year. Take care, be safe and come back to us in 2019.